“Itlog na Maalat” is one of pinoys pride. From a word “Itlog” (tagalog) which means Egg, and “Maalat” (tagalog) which means salty, so “Itlog na Maalat” is a salted egg. I have a bit experience when it comes to eggs. When I was in high school, my mother had an investment (shares) to a local farmer who used to raise ducks (“itik”, are ducks who usually live in agricultural lands like rice fields) and would sell eggs. These “itiks” are eating “kohol”. Since a share of my mom is only 50% of the total investment, I need to get only 40% of the total harvested eggs, because the 10% of it would be collected by the farmer as his rights for taking care of the “itik”. Hehehe… that sounds funny but it was the contract they had for that small business. Anyway, after school, using my bike, I need to rush to the farm to collect the newly harvested eggs of the day. I would put them in a basket (made of “bayong”) and when I reached home; my mom would segregate them according to their size. Bigger eggs will be sold to her friends (hehehe… my mom is a wise businesswoman), while medium to small sized eggs would be set aside for making “Itlog na Maalat”. Dissolve salt in warm water in a large glass or plastic pitcher. Add more salt until it no longer dissolves, and instead, settles to the bottom. Allow the brine to cool. Place the eggs in a wide-mouth glass jar or bowl and pour the brine over the eggs. To keep the eggs immersed in the brine, place a plate or a plastic bag filled with water on top of the eggs. Cover the jar or bowl and keep at room temperature for at least 21 days. Turn the eggs every few days. Before boiling the whole batch, try boiling just one egg first and taste if it is salty enough. If the egg white does not taste salty, soak for at least another week. Place washed eggs in a large pot, cover with water, and bring them to a boil over medium-high heat. 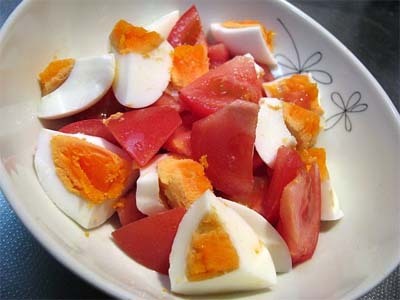 Boil the eggs until they are fully cooked, about twenty to thirty minutes. Run the eggs under cold water and store in the refrigerator, preferably in an egg crate or bowl with a lid. 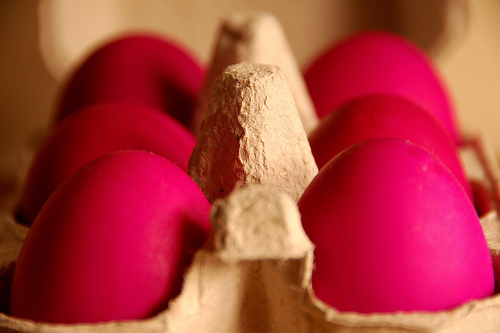 Do not forget to mark the eggs to distinguish them from those that are not salted. The salted eggs will keep for a month. Happy eating, it’s best to be paired with sliced fresh tomatoes, and steamed white rice. Sarap! Share your pinoy recipes here that you love to eat. masarap ang itlog na maalat sa almusal tapos may kasama pang tuyo, wow. Samahan mo na rin ng sinangag na puro asin tsaka saltwater. Pawid - What is a Pawid? How to Play a Holen? What is a Sinulog Festival?